Natalie Ramsey is a trial lawyer whose practice involves the representation of employers and management exclusively in all phases of litigation before federal and state courts, regulatory and administrative agencies, and arbitration panels. She has represented management in a variety of matters involving employment discrimination litigation, including claims arising under Title VII of the Civil Rights Act of 1964, Americans with Disabilities Act, Family and Medical Leave Act, Age Discrimination in Employment Act, and Fair Labor Standards Act. She has also handled litigation involving wrongful discharge claims, the enforcement of non-competition and confidentiality agreements, breach of employment contracts, handbook and personnel policy violations, wage and hour disputes, and other issues arising out of the employer/employee relationship. In addition to her litigation practice, Natalie counsels employers on a broad range of employment issues, including hiring, discipline, terminations, policies and procedures, drug and alcohol testing, anti-discrimination and anti-harassment, employment contracts, workplace safety, and the enforcement of trade secret and confidential provisions as well as the training of management, supervisors and employees on legal issues affecting the workplace. She also speaks at seminars on a variety of employment-related matters and serves as a contributing author to the Oklahoma Employment Law Letter. 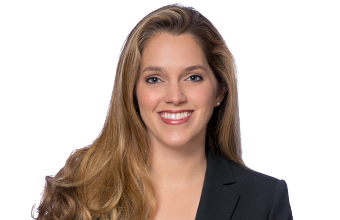 A portion of Natalie’s practice is devoted to representing both plaintiffs and defendants in complex commercial litigation matters involving commercial contracts and business tort claims. Natalie’s achievements have earned her recognition as a “Future Star” in Benchmark Litigation as well as inclusion in The Best Lawyers in America (employment law—management; labor and employment litigation) and Oklahoma Super Lawyers. Representation of companies in disputes involving commercial contracts and business tort claims. Representation of insurance companies sued for bad faith denial of insurance claims. Representation of clients involved in construction-related disputes. Representation of employers sued by former employees for wrongful termination. 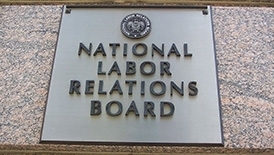 Representation of employers in labor and employment disputes. Evidence: Mixed-motive analysis scrapped in age discrimination cases — proof required!